A.H. Heisey started his company in Newark, Ohio, in 1895 and quickly developed a following for his fine glass tableware and decorative figurines. Heisey produced both blown and pressed glassware in many colors, shapes, and sizes. In addition, the company produced automobile headlights and lighting fixtures. Over time, the high quality and beauty of Heisey products led to increased interest in collecting Heisey glass. From 1896 through 1957, exquisite glassware produced by A.H. Heisey & Co. left the factory for use in stylish American homes. When new, Heisey's glass patterns were even sold in upscale department stores and served as a bridal registration alternative to fine china for many young couples. These immaculate glassware pieces endure as fine collectibles today. Many dealers categorize this type of glass as "elegant" glassware. It generally has a heavier feel and is more finely finished when compared to lesser-quality molded glass lines produced through the Depression era. 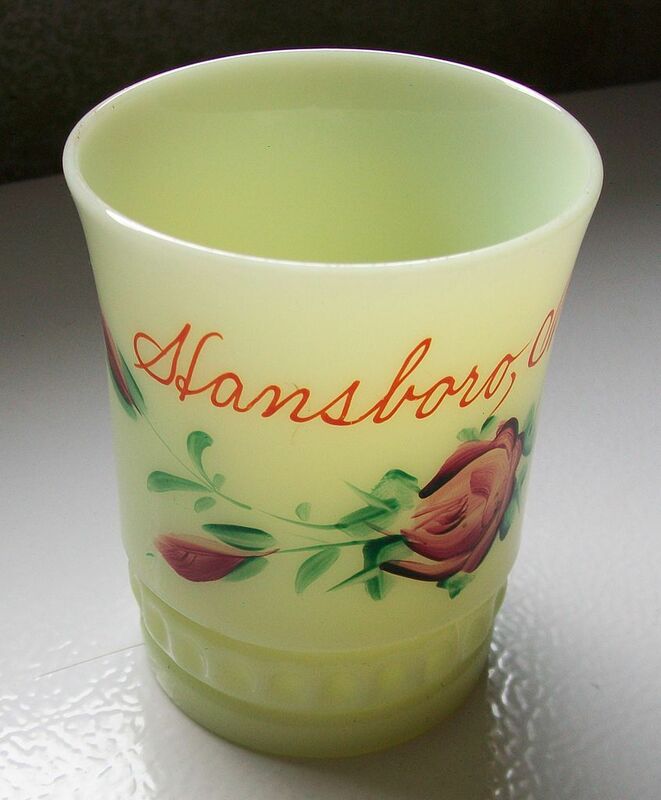 The lovely colors developed by Heisey remain true and bright as this glassware continues to age. From Alexandrite to Zircon, it is hard not to be attracted to these hues. Even the clear glass they produced has the unmistakable feel of quality. In addition, the company’s etchings continue to be extremely popular since they were exceptionally executed with beautiful detailing. The beauty and quality of this glassware rank alongside Fostoria and Cambridge, making up the big three in "elegant" glass. Each etching produced by Heisey was given by a number, such as the #507 Orchid Etch, and features fine detail and clarity. The floral design of the Orchid pattern, along with many of the other intricate Heisey etchings, can be easily identified once collectors become familiar with them. One point of confusion comes with the using the same type of etching on a number of different "blanks." Blanks refer to not-yet-decorated pieces, and they were often assigned numbers by the company as well. The reference number identifying the blank style is often provided for further identification. It’s important to keep in mind that the same etching can vary in price from blank to blank since some are more popular with collectors than others. Some patterns, like the beautifully scalloped Crystolite and Lariat with its curlicue edging, have no etching at all. The beauty in these pieces is derived from the sheer excellence of the design and superior quality of the glass itself. Fortunately for devoted fans, the nationally recognized organization Heisey Collectors of America (HCA) owns many of the original molds. This helps to control reproductions introduced into the market and generally makes it harder to copy those particular pieces precisely enough to fool collectors. HCA does make some limited quantity special edition items for their members. These pieces wisely include an HCA mark including the year of production making them easy to identify and taking away ambiguity about their source. And to further prevent them from being confused with older glass, the color chosen for a limited edition piece is never one originally used by A.H. Heisey & Co. when the company first made the item. The National Heisey Glass Museum website states that all pieces of Heisey were marked when they left the factory. Many had the famous capital H within a diamond mark in a raised molding directly in the glass while others simply had a paper label affixed for identification. Paper labels were not durable with years of washing and use, so there are many unmarked pieces of Heisey currently on the secondary market. Avoid missing a great piece of Heisey for your collection by learning to recognize the etchings, blanks, and colors of this gorgeous glassware. There are many good books on elegant glass that can be ordered through online booksellers (although a number of them are now out of print), and the National Heisey Glass Museum website is also a good place to do further research.